Call them what you will, but this squad of Etikans are a driven lot. And it is no secret their VP of Marketing is a key driving force. If Santharuban Thurai Sundaram is a mouthful try Ruban on for size. This lanky lad has steered some wild talent into focus in recent years by playing agent provocateur. 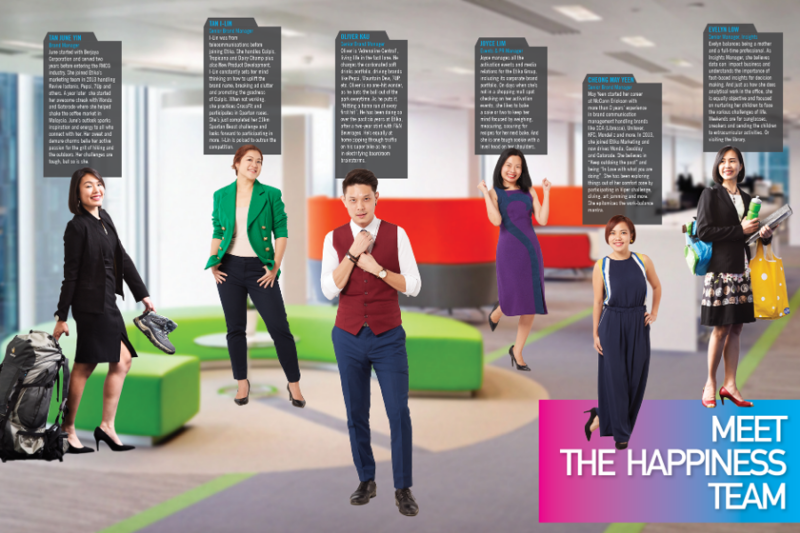 Read how the Rubanator’s band of brave brand communicators are making work-life balance a healthy habit in diversity. According to LinkedIn, the single greatest challenge employees faced last year was none other than finding a better work-life balance. So having a great boss is half the solution. Plus someone to look up to helps. 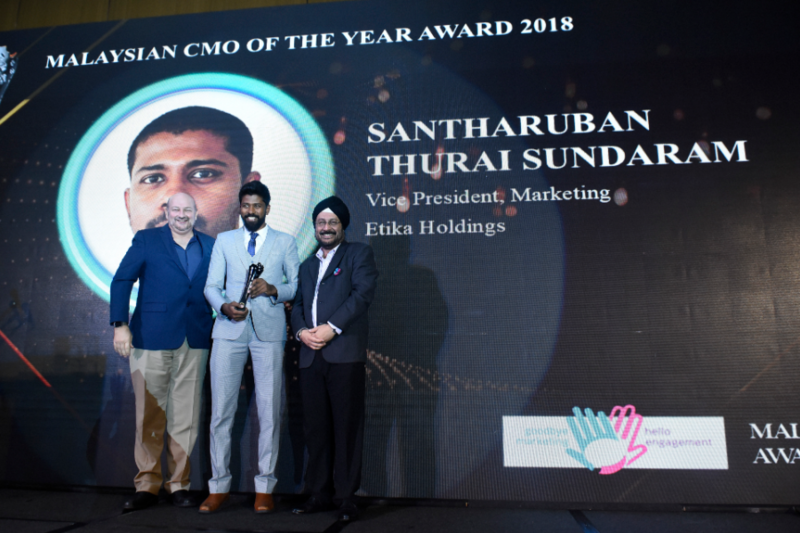 Ruban won the Malaysian Chief Marketing Officer (CMO) of the Year 2018 award recently in a crowded field of path-breaking marketing leaders in the market. He also clinched the CMO Marketing Trailblazer Award in Food & Beverage. The next day one market rival decried Ruban’s well deserved victories and went on a Linkedin rant. Later he confessed his account was hacked and those weren’t his comments. But Ruban took everything in his stride. Over the past year, Ruban’s role as VP of Marketing for the Etika Group of Companies has extended to Singapore. So to say life is exciting at Etika is an understatement. Their work on Wonda coffee has left well established players in awe, to put it mildly. Their Calpis brand is another case of brilliant marketing and who can forget the innovative use of 7-11 fridges which sang you a Wonda jingle everytime you opened the door! Homegrown regional beverage player Etika has been rocking the market in the pursuit of happiness for all. And adding a little healthy grief for their competitors. When it comes to townhall meetings at Etika, it is not unusual to see the CEO or heads of departments queueing at the buffet lines with the rest of the staff. It is always free seating, VIP or not. This speaks volumes about how the leadership behaves and is obvious to any casual visitor to Etika. Diversity is the way forward for all organizations. Businesses that can successfully manage diversity in the workplace will have a definite competitive advantage. Companies that don’t recruit from diverse talent pools risk missing out on exceptionally talented candidates and may have a more difficult time filling key roles which increases recruitment costs. Malaysia by default is a diverse marketplace. Having a diverse workforce with multi-lingual employees helps companies expand and improve operations in national, regional and international markets. “Having spent more than 10 years here, I watched the organization grow from a 300-employee company to 1500, while our turnover has more than quadrupled. From operating only in Malaysia, we now have offices across South East Asia,” says Santharuban, VP of Marketing. June started with Berjaya Corporation and served two years before entering the FMCG industry. She joined Etika’s marketing team in 2013 handling Revive Isotonic, Pepsi, 7Up and others. A year later she started her awesome streak with Wonda and Gatorade where she helped shake the coffee market in Malaysia. June’s outlook sparks inspiration and energy to all who connect with her. Her sweet and demure charms belie her active passion for the grit of hiking and the outdoors. Her challenges are tough, but so is she. I-Lin was from telecommunications before joining Etika. She handles Calpis, Tropicana and Dairy Champ plus also New Product Development. I-Lin constantly sets her mind thinking on how to uplift the brand name, breaking ad clutter and promoting the goodness of Calpis. When not working, she practices CrossFit and participates in Spartan races. She’s just completed her 21km Spartan Beast challenge and looks forward to participating in more. I-Lin is poised to outrun the competition. Oliver is ‘Adrenaline Central’, living life in the fast lane. He charges the carbonated soft drinks portfolio, driving brands like Pepsi, Mountain Dew, 7UP, etc. Oliver is no one-hit wonder, as he bats the ball out of the park everytime. As he puts it, “Hitting a home run at every first hit”. He has been doing so over the past six years at Etika, after a two-year stint with F&N Beverages. He’s equally at home zipping through traffic on his super bike as he is in electrifying boardroom brainstorms. Joyce manages all the activation events and media relations for the Etika Group, including its corporate brand portfolio. On days when she’s not in a shopping mall spot checking on her activation events, she likes to bake a cake or two to keep her mind focused by weighing, measuring and scouring for recipes for her next bake. She is one tough cookie, with a level head on her shoulders. May Yeen started her career at McCann Erickson with more than 8 years’ experience in brand communication management handling brands like SCA (Libresse), Unilever, KFC, Mondeléz and more. In 2013, she joined Etika Marketing and now drives Wonda, Goodday and Gatorade. She believes in “Keep outdoing the past” and being “In Love with what you are doing”. She has been exploring things out of her comfort zone by participating in the Viper challenge, diving, art jamming and more. She epitomises the work-balance mantra. Evelyn manages being a mother and a full-time professional. As Insights Manager, she believes data can impact business and understands the importance of fact-based insights for decision making. And just as how she handles analytical work in the office, she is equally objective and focused on nurturing her children to face the various challenges of life. Weekends are for sunglasses, sneakers and sending the children to extracurricular activities. Or visiting the library.